Will Jaya optimized and configured jbod server modules and racks for the digital content and database archiving solution. In the enterprise market, there is a huge difference between how products claims to perform on paper and hot they perform in the real world environment. Storing information and managing it's storage is critical to a company's success. JBOD storage solutions is one of the basic storage architecture that is very popular where enterprise wants to keep storage local to the host machine via SAS cable and HBA in the host. 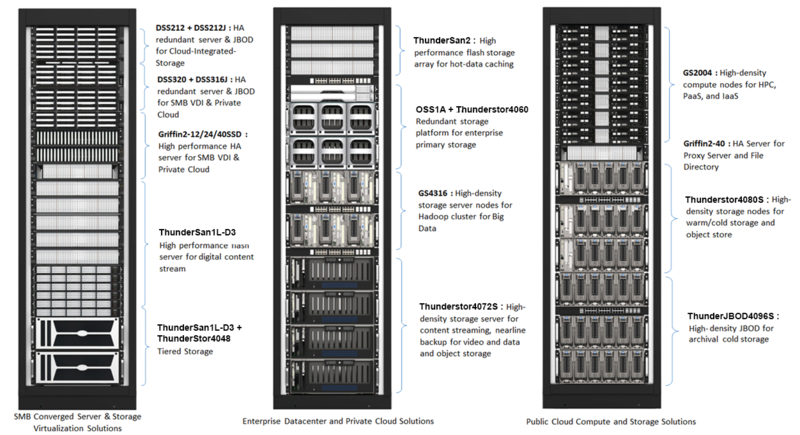 Will Jaya's ThunderJBOD Solution delivers advance technology to storage infrastructure for the next-generation enterprise computing. Delivering unparalleled performance, flexibility and scalability. Easy serviceability features where drawers can be pulled out and drives serviced without powering down the systems. Allowing the system to remain operation while being serviced.